These Honey Garlic Turkey Sloppy Joes are a quick, healthy meal ready in 30 minutes or less! I am a sucker for a sloppy joe. I don’t know what it is. Maybe the fact that I’m actually 8 years old or just that saucy, meaty combination piled high on a soft bun. For this month’s 30 Minute Thursday (the series where some friends and I bring you a new 30 minute meal on the first Thursday of every month — find the rest of the recipes below! ), I wanted to bring you a new twist on one of our favorites. And who doesn’t love a good honey garlic ANYthing? 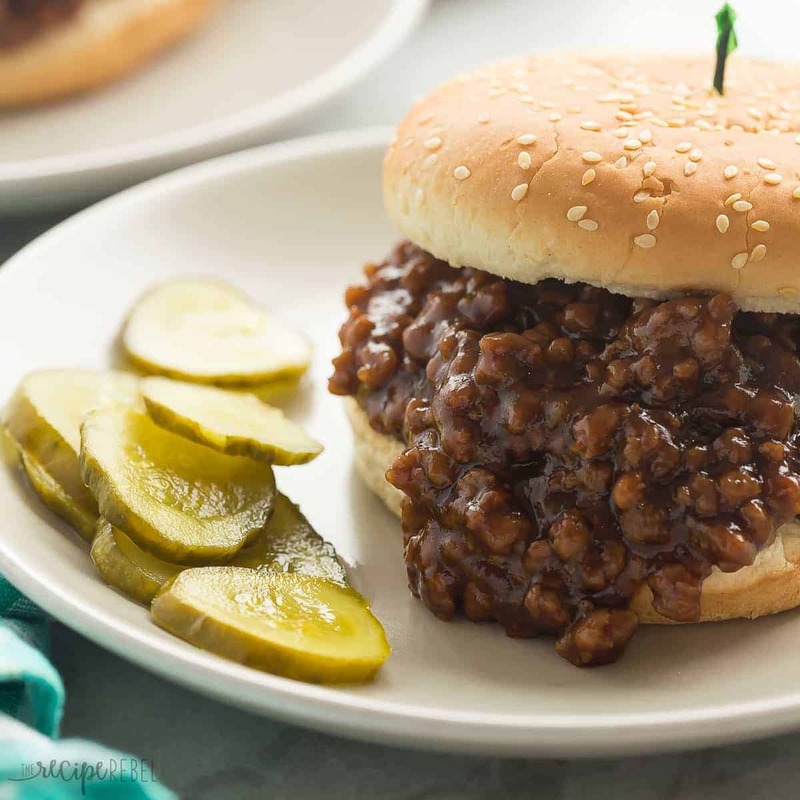 If you prefer to use ground beef or ground pork in your sloppy joes, you can absolutely do that! We love our beef and pork as well, but sometimes in Swimsuit Season you want a leaner alternative and turkey or chicken is great for that. In other news, it’s my 9 year wedding anniversary today! And regardless of what it looks like, we are actually not dining on sloppy joes tonight 😉 Happy Thursday to all of you! if you wanted to make these for a potluck or picnic of some sort, you could easily cook the ground turkey, then throw all of the ingredients in the slow cooker for a few hours. It will work just as well! I wanted to keep these sloppy joes on the healthier side, so I tried to avoid drowning them in sauce. The first time I made them, they had great flavor but weren’t very saucy at all. I ended up making them a second time and doubled the sauce. If you like them a little drier, you can definitely halve it! To bump up the nutrition, add in shredded zucchini and carrot when you’re cooking the turkey! In a large pan, cook ground turkey until done. Drain any excess liquid from the pan. Return to the stove and add ketchup, honey, garlic, and soy sauce. Stir. Combine broth and corn starch in a small bowl and stir into the turkey mixture. Cook over medium heat until flavors come together and sauce is thickened, about 5-8 minutes. Add salt and pepper to taste, and serve over buns or as desired. *If you need to thicken your sauce further, simply combine equal parts corn starch and water and gradually add to the turkey mixture. And more 30 minute meals from friends! Mine wasn’t as quite soupy / saucy as expected 🙁 still really good though! Any suggestions to wear I went wrong? It came out more like seasoned ground turkey. Hope you had a fabulous anniversary!! And these sloppy joes are calling my name! I’m such a sloppy joe kinda of gal! Need to make these for the family soon! Mmmm, these look amazing. And I have never made my kids sloppy joes for some reason that I can’t figure out right now so these definitely need to be made soon! Also – Happy Anniversary! Hope you had a great day! Oh man, sloppy joes are my dinner LOVE language! I love the hint of sweetness you incorporated in these gorgeous joes, Ashley! These are most definitely going on my weeknight dinner to-do list! Happy Anniversary!! Yay for 9 years 🙂 Love this honey garlic twist on sloppy joes! So saucy and delicious! Happy Anniversary!!! I’m a sloppy joe fan too 🙂 Love this twist! Aww happy anniversary!! Time flies, doesn’t it? These look SO delicious! Happy anniversary! 9 years together – what an accomplishment. 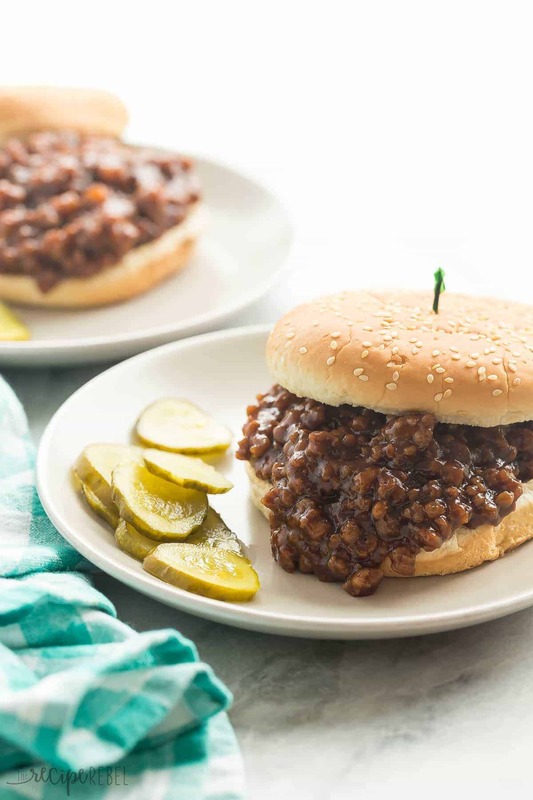 These sloppy joes look like the bee’s knee’s, perfect for a weeknight meal. Hahahaha… I’m totally like an 8 year old on the inside as well! 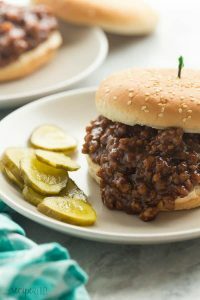 I used to be obsessed with sloppy joes, but I haven’t had one in ages! I absolutely NEED to change that immediately and stuff my face with a few of these sloppy beauties!! LOVE the honey garlic combo and that you used turkey! Absolutely perfect! Pinned! Cheers, girlfriend! 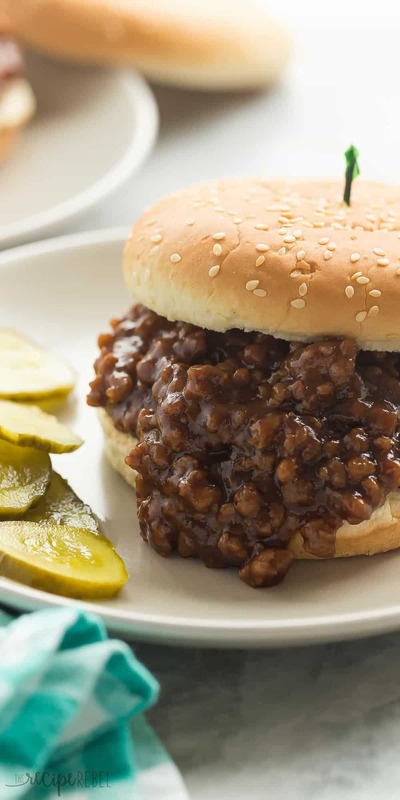 Confession: I’ve never had a sloppy joe. I know, I know. Crazy, right? Sounds like I need to remedy that situation right away. I didn’t know they were so easy to make! And I like the idea of adding in some shredded veggies! I love sloppy joes, too! It’s actually my husband’s specialty dish, and we call it sloppy fred’s after his uncle haha! But you totally sold me with this honey garlic turkey version! Such a great idea, Ashley! And the sloppier, the better, right? 🙂 Looks so good! 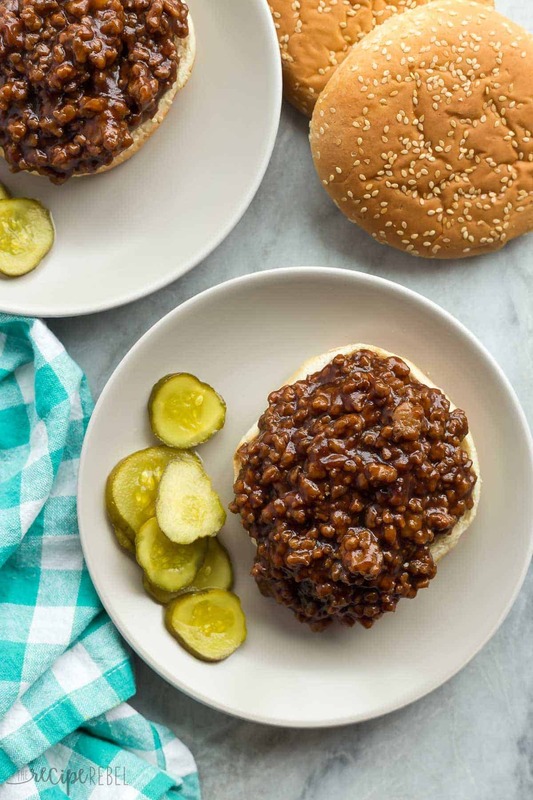 Okay, I don’t think sloppy joes have ever looked more appetizing…ever. These are totally calling my name! I can’t wait to try them out. So saucy and yummy ? !